Bank Holiday walk 2018 – 28th May – Meet 2.30 p.m.
William Farnell purchased what became Isleworth Brewery in 1800. 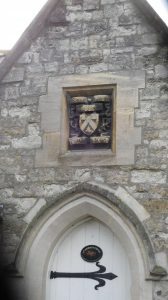 He was succeeded by his sons who not only continued expanding the business but were generous benefactors, endowing the area with a school and almshouses. Later generations’ generosity ranged from ensuring a visit by King William IV and Queen Adelaide received a rapturous welcome with 500 poor children also benefiting from a dinner, to a replacement horse drawn fire engine. This new linear tour tracing the legacies of this brewing family kicks off the Heritage Guides’ new season of guided walks, looking at their homes, public houses they built, poignant reminders of infant mortality, as well as the record of the company’s football team. All our regular walks cost £3.00 per person. A variety of private walks can be arranged all year round.